Let’s Take Care of Our Little Planet! 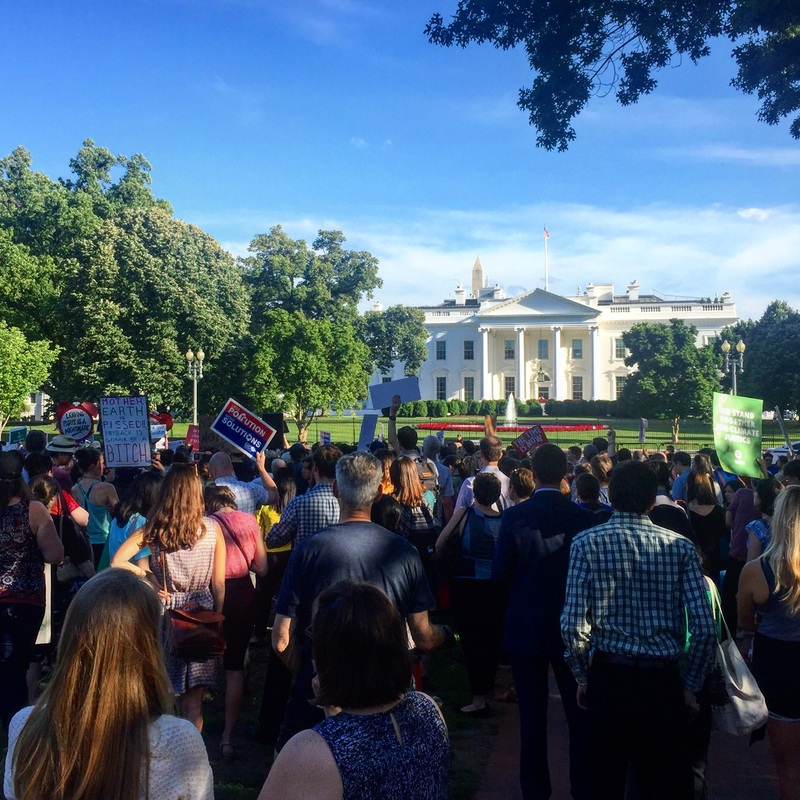 On my way home from work yesterday, people had already gathered in Lafayette Park in front of the White House, to protest President Trump’s withdrawal from the Paris Climate Agreement. In my work with smallholder agriculture, I see the direct impacts on climate change on the daily lives of people all around the world. Impacts that for many of the farmers I work with can be a matter of life and death for a child in the family. These are the same people that produce our cocoa, coffee, rice, and off-season fruits and vegetables. In the part of the world where I live, milder winters, a few extreme weather events, and Starbucks changing its coffee of the month from Latin American to African sourced may be the only consequences we see for now of us changing the climate. But without doing something, we and our children will certainly have to pay for it in the future. I want to say that the time for action is mow, but the truth is that the time for action was decades ago. So we better hurry and start taking care of our little planet! Let’s make our planet great! This entry was posted in Our World and tagged climate change, climate change protest, Make our planet great again, Paris Accord, save our planet, white house protest. Bookmark the permalink.